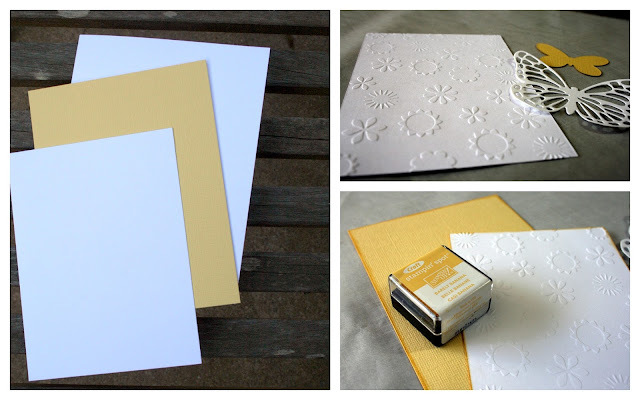 Hello and welcome to the blog - Shelly with you sharing a simple card design that can be used for any occasion. I have created this beautiful butterfly card - give as shown, or add a banner with a sentiment. Make up several at time so you're ready for any card giving situation. 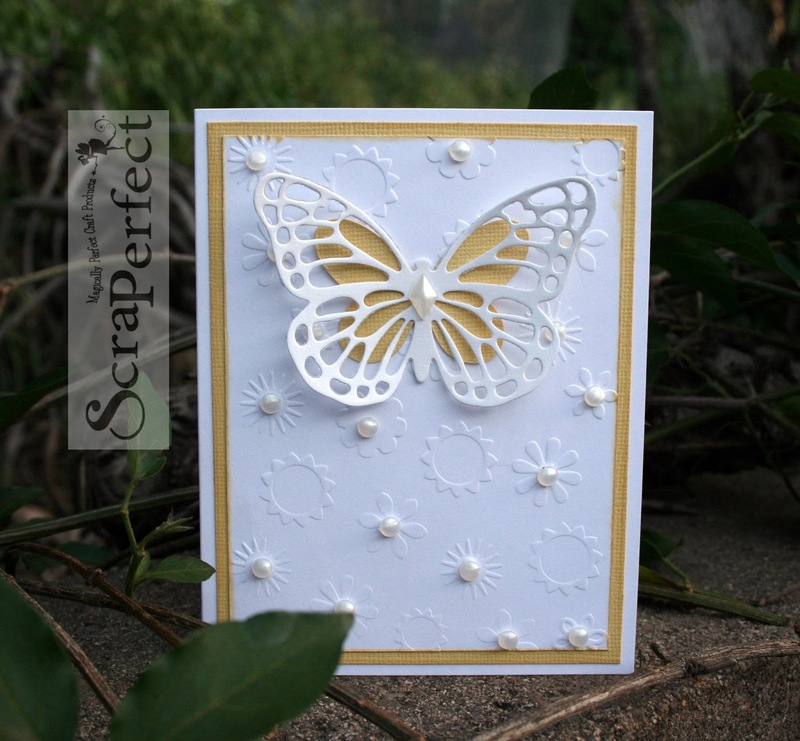 Stampin Up Thinlits Die "Butterflies"
Using Best Glue Ever, adhere embossed CS to yellow CS and adhere this stack to card base *remember, a little dab will do ya with Best Glue Ever! 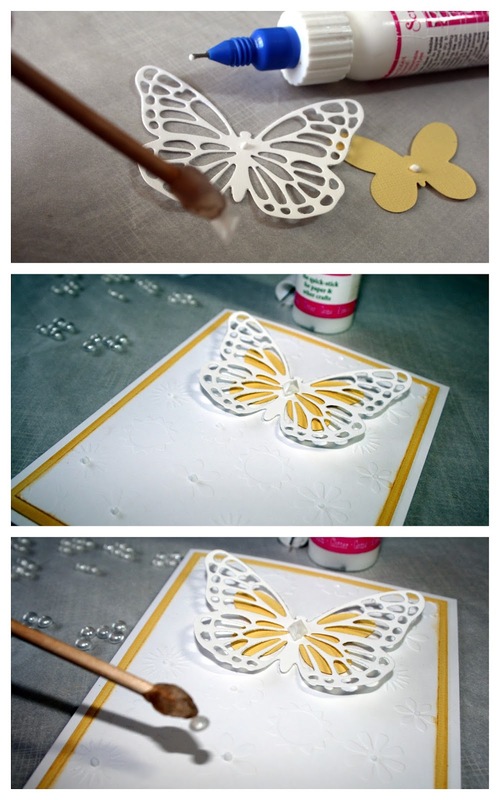 Attach Diamond Dew Drop to body of large white butterfly. The No-Clog Writing Cap allows you add a controlled amount of BGE in tiny spaces and Embellie Gellie makes picking up placing tiny embellishments a cinch! Next, apply Pearl Dew Drops to the embossed flowers - Embellie Gellie is a remarkable medium that allows you pick up and place embellishments - it's a must for card making! This simple card design can truly be used for any occasion! Thanks for stopping by the blog today - have a creative week!